Tire Inspection - are they in good shape? Channel cracking are thin cracks that can occur in-between the tread lines. Cracking may also occur on the sidewalls. Uneven tread wear can result in less control and premature wear. This is usually caused by improper wheel alignment or improper tire inflation. Tread depth of 5/32nd of an inch or less indicates your tires have reached the end of their useful life. Inflation Pressure. If a tire can't hold pressure it has a leak and will need repair. The only reliable way to test tire pressure is with a pressure gauge. However a visual inspection can tell you if your tire is substantially below its operating pressure. Slow leaks can turn into "fast" leaks anytime. Side wall damage. A large gouge in the sidewall can compromise the tires performance and safety. This can be caused by hitting the curb while parking. Dent in wheel rim may indicate damage to the tire bead and compromise its ability to hold pressure. This can be caused by hitting a pot-hole or impacting a curb. The existence of tire tread (6/32nd of an inch) is not the only indication of a tire's remaining useful life. People that live in the city may not use their vehicle much; and after 5 years of use their tires may only have 30,000 km. Continuous exposure to uv sun light will cause the materials tires are made of to break down to the extent they may fail. This wear is seen as channel cracking. After about five years, the rubber becomes hard and, even if the tires are looking good, the tire traction reduces and weakens quite dramatically. 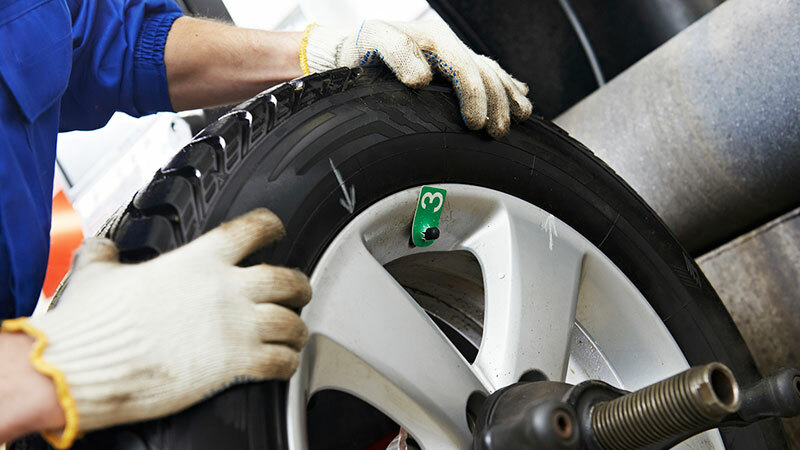 If you notice any of these conditions on your tires, have them inspected by a professional. Hyack Excel Tire will gladly inspect your tires. Give us a call and stop by the shop for a free inspection. By inspecting your tires on a regular basis you will reduce the chance of tire failure resulting in roadside repairs, or an accident. Call us today, and schedule your tire inspection. The friendly and honest staff at Hyack Excel Tire provide efficient service. I leave my car there knowing it will be well cared for. I wouldn't bring my car anywhere else ! Thank you to David and your highly skilled service team.